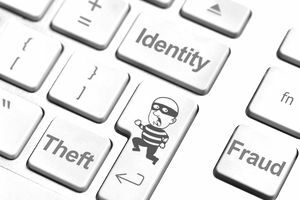 Identity theft is a big problem, and it is only getting more serious as the years go on and more and more people are becoming victims of identity theft. Programmers - These hackers write the viruses that wreak havoc on your computer. They design these viruses to infect your device when visiting malicious websites or opening emails that contain them. Carders - Carders are those who steal credit or debit card information and then sell it to others. They also might burn the information onto a blank card or use the numbers to make purchases online. Criminal Hackers - These people are Black Hat Hackers that focus on finding the vulnerabilities in networks, and then they use this information to exploit users and plant code. Social Engineers - Though the name sounds nice, social engineers are bad guys who come up with scams and spend their time creating and sending phishing emails to victims. Hosted Systems Providers - A hosted system provider is not a person, but a business that supports the hacker community. These companies offer servers to hackers so that they can operate. Cashiers - A cashier is someone who offers bank accounts for hackers so they can launder or hide the money they steal from victims. Money Mules - A money mule is someone who may not even realize that they are part of the hacking community. These people are paid to open bank accounts for the hackers, and they may be foreign individuals who come to the country specifically for this purpose. Tellers - A teller helps to launder and transfer money by using digital currency. Bosses - A boss is the person who runs the show, like the Mafia Don who brings talent to the group. They also delegate and manage. How Is an Identity Stolen Online? Phishing Scams - Many people think of phishing scams when they think of identity theft, and despite all of the warnings, people still fall for the tricks. Avoid this by never clicking a link in an email, even if you think it is a trusted source. Instead, navigate by typing the address manually. P2P File Sharing - People also get their data stolen through peer-to-peer file sharing. This is easier than you might think, as even the government, including Congress and President Obama, has been affected by P2P File Sharing. Social Networking - One of the easiest ways hackers get access to data is by using social networks. These sites are too big, and have grown so fast, they just aren't secure. Criminals know exactly how to take advantage of social networks, so anyone who users them must remain aware. Malicious Websites - A malicious website is one where the specific purpose is to attack and infect a computer with viruses. These websites, which look identical to legitimate websites, put your identity at risk. Most commonly, they will copy popular websites such as eBay, Amazon, Visa or even banking websites. The best course of protection is to update operating systems and use antivirus software. Malicious Attachments - Finally, identities are stolen through malicious attachments. Any attachment can carry a virus, including PDF's, which used to be safe. Today, however, Adobe, which makes software to open and read these files, is in the cross-hairs. The best thing to do is scan all of your attachments with anti-virus software.